Day time talk shows and soap operas cannot compete with the drama in my bathroom this morning! 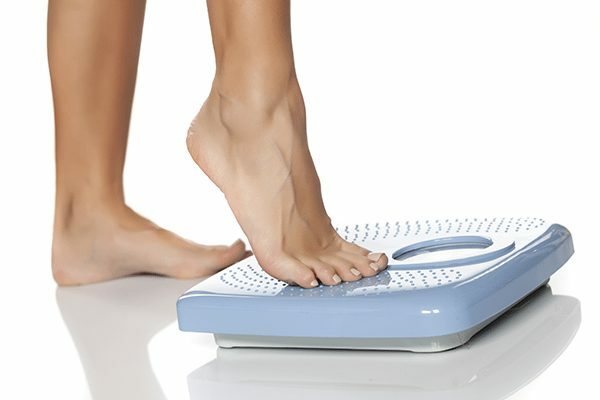 I stepped on the scale, expecting to see a number at least one less than the number just a few days earlier. Let’s be real, I would even have settled for ounces less than the prior reading. But to my heart’s discontent, the number dared to be two notches higher than previous! Feelings of failure and angst rushed over me as I stepped off the traitor in my bathroom. How dare it suggest I had gained weight!! I stepped off and on again, in case there was a mistake; but alas, the same number flashed on the small digital screen. I jumped in the shower with my devastation and defeat, still needing to get ready for the endless activities that lay ahead of me this Sunday morning. Even though I am an Optimally Balanced Coach, even though I have completed the program and trained extensively in the health and wellness field, even though I know all the right things to do with my mentality, nutrition, and fitness, I do not always make the right personal decisions. In other words, I still don’t always eat well and exercise consistently and my weight does still vary a bit. For example, the stress of hurricane Irma and then needing to not let all our hurricane supplies go to waste may have contributed to my preferred scale reading inching upward. Weighing myself often helps me stay on track. But, I have never admitted this publicly before, I have an intensely love/hate relationship with my scales. (Yes, I wrote scales not scale; however, that is a story for another time.) Standing on one of my scales first thing in the morning, completely naked and ONLY after I have gone to the bathroom can really impact my mood for a good half of the day. So this morning, when a week of getting back on track, following my old eating plan and working out daily, did not equate to a move down on the scale and in fact somehow the traitor of a scale actually moved up, I was struggling to hold it together. This is not the first time I have had such an emotional reaction to my scale(s). While I don’t have a deep-seated fear of my scale like others do, I definitely have a volatile relationship with it. I sometimes forget that are so many factors that impact that number such as hydration levels, muscle mass, body fat, digestion, and even atmospheric pressure (okay, I might have made up that last one). My reaction to the number on that small screen is very complex and often related to my behaviors/mentality ahead of time. If I have been really trying to lose weight (like after my birthday week or this past week) and legitimately sticking to my eating plan and exercise routine, a decrease in weight will certainly cause joy and a sense of pride and accomplishment. Likewise, an increase in weight under the same circumstance can cause frustration and even resentment! Similarly, if my pants have been feeling a little tight and I know I haven’t been eating as well as I should have been lately or my exercise has been lacking luster, an increase in the number on the scale, while expected, can still be very upsetting and depressing. An increase on the scale in either scenario may cause me to then approach the day with a negative attitude (I’ve gained weight so who cares if I continue to eat ALL that I want whenever I want it) or a positive attitude (I can easily get back into healthier habits). Interestingly, a decrease in the number on the scale will usually motivate me to keep making healthy decisions but this was not always the case. Before Optimally Balanced, a decrease in weight would often have caused me to then be more laxed on my diet! If I lost weight so I somehow justified dessert or fattening food. Basically I allow the number on the scale to substantially impact my mentality- my mood, my feelings, and my self-worth. Recently I saw a few articles on Facebook where fitness models shared pictures of themselves before and after their “transformation” but at the same weight. For example, one model shared a picture of herself at 180 pounds as her before picture but then showed a picture of herself with a lot of muscle and much less body fat but still at 180 pounds. The purpose of the article was to help readers appreciate that the number on the scale is just a number. These widely circulated images and articles really highlighted what I learned at Optimally Balanced: We should not focus solely on the number on the scale and we need to stop equating health with a number on the scale. We need to start focusing on body composition such as muscle mass, body fat percentage, hydration levels, etc. and less on weight. We need to look at the number on the scale as one piece of the overall health puzzle but not the only piece. I still need to remember the number on the scale is only one piece of my overall health. And it is certainly not a piece that should elicit such strong emotions and be so tied to self-esteem. The scale should really not be responsible for my mood for half of an entire day or my self-worth. It should not have that much power over me! In fairness, it really isn’t a good idea to let any one thing or person be responsible for my (or your) mood for half of a day! Learning to regulate my emotions, not just about the scale but about all things in my life has had a very positive impact on my life and my weight. Studies have frequently shown the relationship between weight gain and emotions. In fact, this sub-topic could very much be its own blog entry and is covered by the mentality portion of Optimally Balanced group classes. Weight, food intake, and emotions are very inter-related. But I digress! With all of the above said, we need to also accept that all is easier said than done and there are still days, no matter how much knowledge we have, we are still going to freak out when the scale moves in the wrong direction. And there are still days we will hide in the shower, allow for a few moments of freak out, and then remind ourselves that weight is just one measurement among many and this is not a reason to wear sweats and eat ice-cream all day. One big motivator for me to have a healthy mentality toward weight and scales is my shadow. I don’t want my daughter to grow up with her self-worth hinged to the number on a scale. I don’t want her to engage in unnecessary, unhealthy or even dangerous techniques to lose weight because the scale went up. I want her to continue having a healthy attitude toward her body! Right now, she is excited when she masters the next gymnastics move- holding a handstand for 60s or some sort of walking flip! She focuses on what amazing things her body can do… not how much she weighs. I want her to retain that outlook for as long as possible. Which means I need to be aware of what I’m saying and doing- including having a melt down over a number on a scale. So while I do weigh myself often, this is just one piece of how I track my overall health. I also look at body mass percentage, hydration levels, body fat, muscle strength, endurance, stability, flexibility and my mentality. I look at what I’m eating and what supplements I take. I work hard to regulate my emotional response to my weight after years of having a very unhealthy mindset. It took me a long time to accept this way of looking at health and well-being because I am a woman who has spent most of her life overvaluing the number on the scale.